A special Hyundai IONIQ is being converted into a ‘Contactless Car’ - kicking off its partnership with the Stand Up To Cancer charity. 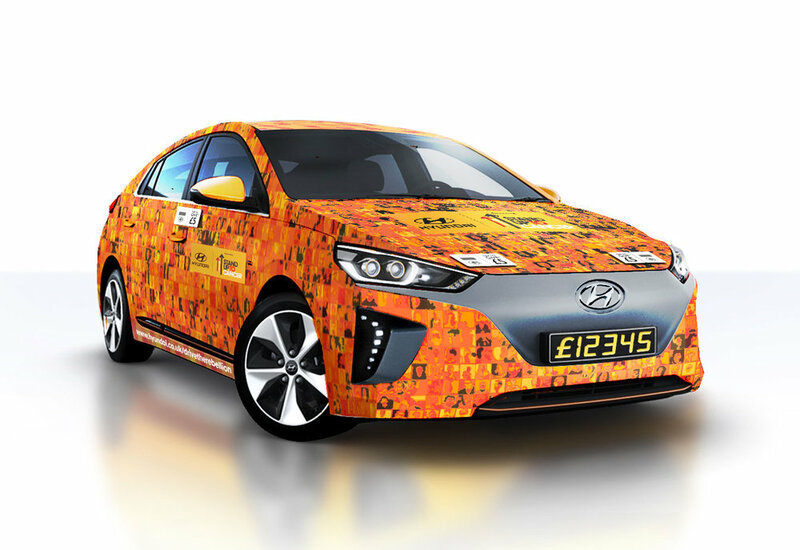 The one-of-a-kind Contactless Car, based on the zero-emissions IONIQ Electric vehicle, will allow people to donate to the charity with just a tap of their credit or debit cards (accepting payment via Visa, MasterCard, Apple Pay, V Pay, Maestro and Android Pay). Featuring five contactless donation points, the bespoke IONIQ will provide a quick, convenient and unique way for the public to TAP TO GIVE in order to make a secure donation to Stand Up To Cancer. The money raised by the Contactless Car will be used to fund ‘translational research’ which helps to turn breakthroughs in the lab into revolutionary treatments for cancer. Each donation of either £5 or £10 will trigger the car to thank people for their generosity with an audio or visual cue, or an electronic movement. The IONIQ’s number plates will also become a digital totaliser which will increase every time someone donates. The Contactless Car follows on from a successful trial carried out by Cancer Research UK as part of the 2016 Stand Up To Cancer campaign, which equipped cash bucket collectors with technology that allowed them to take contactless payments. Supporter feedback from this trial was overwhelmingly positive, with 25% of income being generated from contactless donations. Working with specialist technology and fabrication partners, the Contactless Car will be custom-made using Ardunio micro-controllers and Raspberry Pi micro-computers to ensure that the car reacts instantaneously to each and every contactless donation. The contactless readers will be embedded into the panels of the IONIQ vehicle and will be adapted to co-ordinate with the bespoke LED totaliser that will be built into the front and rear numberplates. Hyundai UK will be encouraging employees, customers and the general public to all unite and help #DriveTheRebellion by raising money for life-saving research with this world-first fundraising project. 980 people are diagnosed with cancer every day in the UK – one every two minutes – but through crucial funding, scientists can continue to make breakthroughs and today’s discoveries will be turned into tomorrow’s cancer treatments. Members of the public will be able to see the Contactless Car for the first time at a launch event on 22 May 2017 inside King’s Cross station, London. Following its launch, it will be driven across the UK appearing at a number of Hyundai and Stand Up To Cancer events between May and November 2017. At these events, donors will be encouraged to join the rebellion by using the in-car photo booth. Users will be able to stick their photograph to the car’s exterior and eventually, the Contactless Car will be completely covered in a mosaic of images showing everyone who’s stood up to cancer by donating vital funds. Stand Up To Cancer is a joint national fundraising campaign from Cancer Research UK and Channel 4. Launched in the UK in 2012, Stand Up To Cancer has raised more than £38 million to date, supporting over 40 clinical trials and projects.